As revealed during yesterday's Nintendo Direct presentation, the Switch's arena brawler Arms is now playing host to the game's latest update version 3.0. Among the new additions is the new character Lola Pop, a brightly-dressed clown that fights with nunchucks and a pair of inflatable pants, as well as a new Lola Pop-themed arena that's filled with confectionary delights. Players unfamiliar with Ms. Pop can check out everything they need to know about the new character in Nintendo's own Lola Pop introduction video, featured below. Aside from the new fighter, players will also finally be able to customize Arms' control scheme using the new customize controls option. Within the game's options menu, players will now be able to select from a variety of control schemes, including ones that rely on motion control functionality, as well as the choice to create a custom controller map. Though some of the pre-set configurations are likely ideal for most fighters, being able to custom-map buttons will help with players that aren't exactly comfortable with jumping or dashing by pressing shoulder buttons. The new controller configuration menu will also allow players to adjust motion control sensitivity, which was a surprising omission from earlier versions of the game. 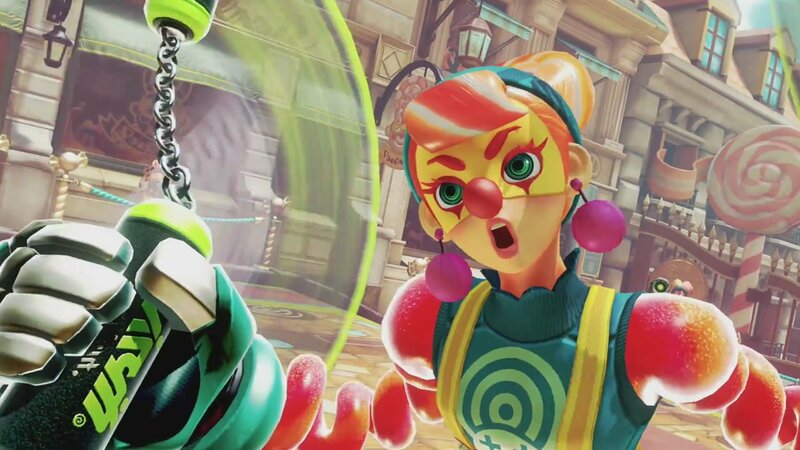 Much about the Arms experience comes down to the thrill of the fight, and with the enhanced precision that custom sensitivites will afford, it may be that many players will switch from default control schemes back to motion control for an added fun factor. Arm's latest update version 3.0 is available for download right now, and may have already been installed to players' Nintendo Switch systems, as the update is required for online play. Any players that haven't yet updated the game or are having difficulty with download or installation can find a handy guide for updating Arms over on the Nintendo support website. Stay on top of the Switch gaming scene by checking out some of the fast-and-fun titles we've featured over on our list of the Best Nintendo Switch Games.